Allegra Boverman/Gloucester Daily Times. 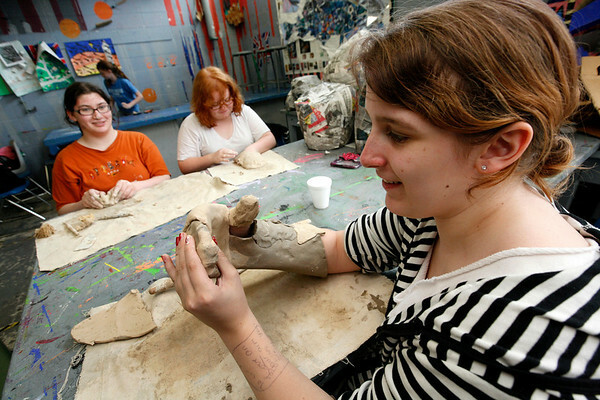 During the Clayworks afterschool program at O'Maley Innovation Middle School on Monday, eighth grader Shannon Kelly, right, was using her arm while trying to make an arm resembling the weeping angel from Dr. Who out of porcelain and clay. Working nearby, in background, are, from left: eighth graders Kayla Militello, making an abstract creature, and Hannah Sears, creating a hand-shaped piece.